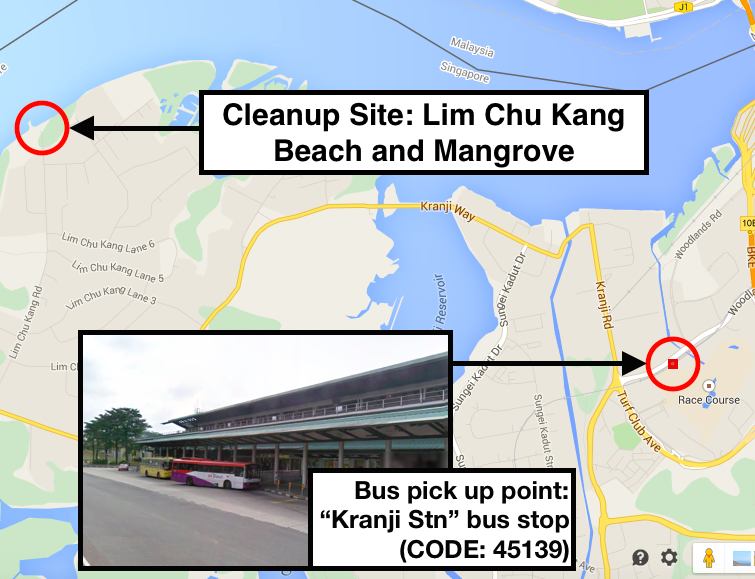 Help throw out the trash this Chinese New Year with a Coastal Cleanup @ Lim Chu Kang beach and mangrove on Saturday 4th Feb 2017: 7.45am – 11.00am. Join us in extending some tender loving care to one of our precious mangrove fragments in Singapore. But you will need to ready for hard work, properly fitted out and ready for action – this is not for the faint-hearted! Transport will be provided from Kranji MRT. Please sign up by Wed 1st Feb 2017. For details, please head over to the Eventbrite Registration page. Do read the details about safety and preparation please. 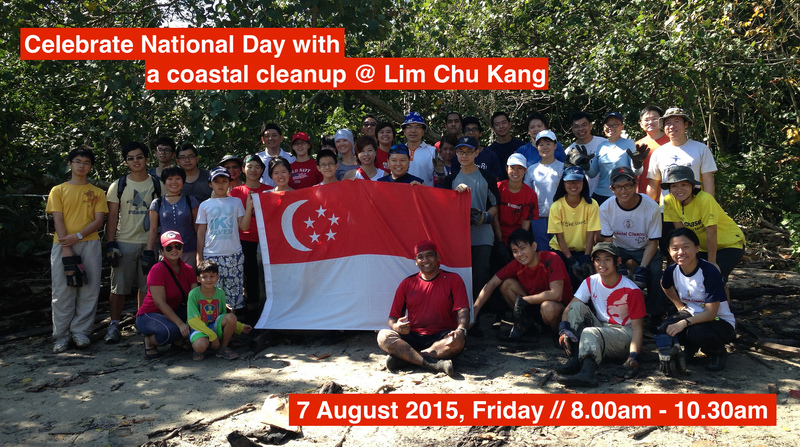 Sun 08 May 2016 – 39 volunteers joined us early the morning for the “Operation WE Cleanup” at Lim Chu Kang mangrove. This movement is led by the Public Hygiene Council (PHC) to encourage Singaporeans to play a role in keeping our environment clean and we were glad that ICCS could support it! Collectively, we removed a total of 403.5kg of trash (in 56 bags) over a 90 minute cleanup, leaving the beach looking so much healthier! There were lots of plastic bottles, straws, bags and styrofoam pieces of a variety of sizes. Where do you think they came from? An exposed used syringe was carefully disposed – it is important that sharp objects be disposed properly and responsibly, to protect everyone who will handle the trash all the way to the incinerator. This is something we reinforce in every safety briefing prior to the cleanup – see Safety Advice for Participants on our website, which dates back to the 90’s! 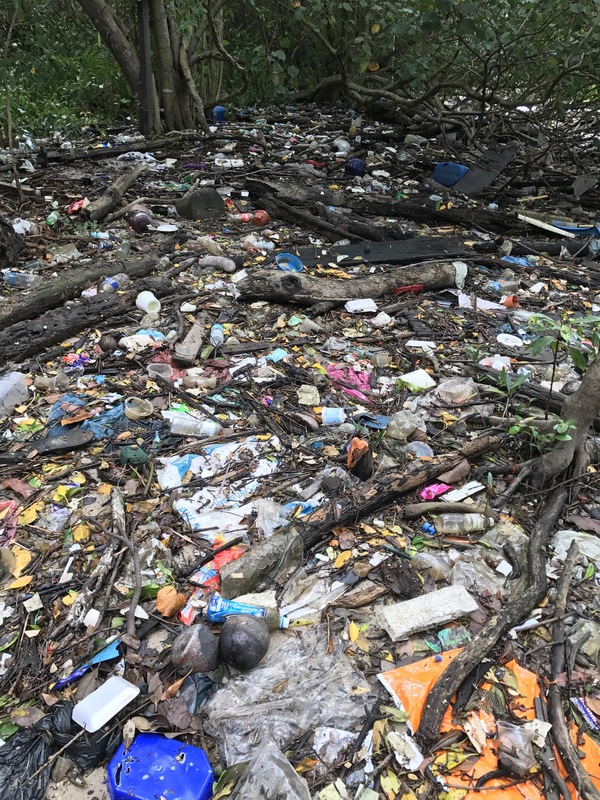 Medium trash load at Lim Chu Kang mangrove. I’ve found so many plastic straws within a small area! North-West Zone Captain, Adriane Lee. During the cleanup, Adriane Lee chanced upon two mangrove pit vipers. Although venomous, like every other animal, they will not attack unless provoked. We kept our distance but encouraged everyone to enjoy the lovely view of the snakes on the tree. It certainly is important to be aware of our surroundings during a mangrove cleanup and watch where you place your hands and legs –points we cover in the safety briefing ! The success of this and every other cleanup was due of course to our lovely team of volunteers who worked hard and were so responsive to coordination. It is a real joy to work with them and we are encouraged to organise more of these cleanups together! During our Year Round Coastal Cleanups, we end with a debrief of the trash collected, type of trash and share information about the site, from its historical use to the present day and its conservation status. Our ICCS coordinator Otterman (N. Sivasothi), also identified ways in participants can reduce trash at home or at the workplace. Sharing our experience with others is also important, he explained, as many would not believe the amount of trash that does settle on our shores in Singapore. We can all help by making small changes in our daily lives. No matter how small the effort might seem, collectively this can be significant! Happy Singapore World Water Day everyone! View 100+ photos on Flickr. Otterman giving a debrief at the end of the session. 29 volunteers celebrated World Water Day Cleanup @ Sungei Pandan on 26 March 2016 – beaming with enthusiasm and with quiet intent that early Saturday morning, they certainly raised our spirits! They had hopped onto a bus from from Kent Ridge and Dover MRT stations to our gathering point at the Jalan Buroh B25 bus stop. Against the noisy traffic, and with the help of a handy gigaphone, ICCS Coordinator Sivasothi aka Otterman introduced the site and its ecosystem before the ICCS -IKEA Intern Joys Tan (that’s me!) embarked on my first safety briefing! 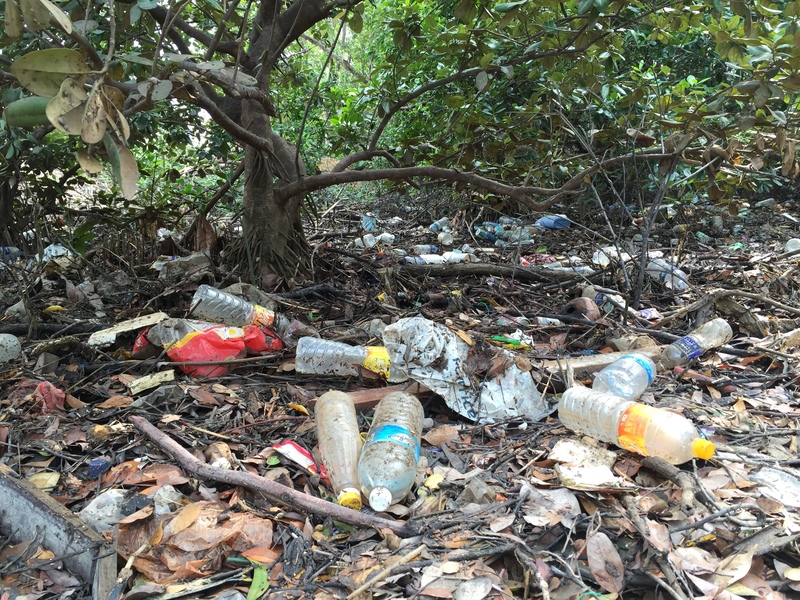 After many years of cleanups, the trash load at Sungei Pandan is now low and dominated by plastic sheets, cups, bottles, wrappers, straws, styrofoam (eps) and canvas bags. Many were embedded in the grass patch and mangrove floor, which requires a great effort for removal. Our volunteers were not dismayed but worked away, intent on improving the conditions in this rare mangrove spot in the south of Singapore – just look at the bright smiles on their faces! The ninety minute cleanup was an intense effort! So some of us took break after an hour to catch our breath and rest some weary muscles. Eventually it was time and we transferred and weighed the trash bags and set them aside at the agreed location for the NEA DPC contractors who ensure the trash gets disposed. We debriefed the team by the roadside and reported a removal of 415.5kg of trash in 43 trash bags from the mangrove after an effort of 90 minutes! 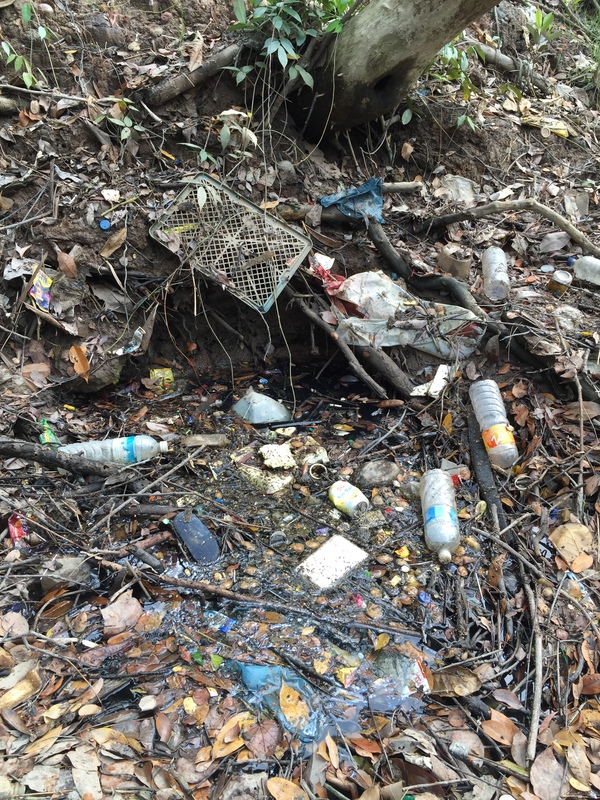 We discussed the type of trash we saw, remarked on the need to share the experience to encourage everyone to reduce trash at the source in our daily lives. 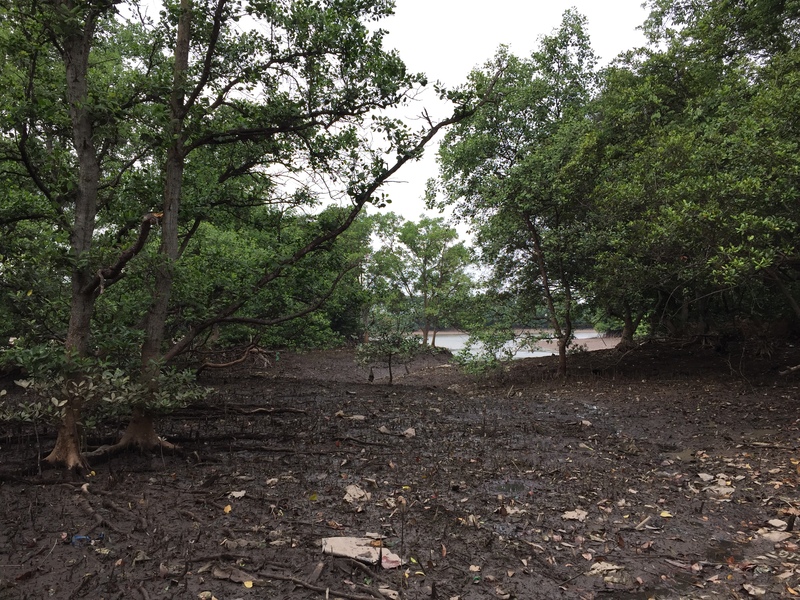 Otterman concluded with the biodiversity and heritage value of these precious remnant mangroves at Sungei Pandan and of the positive impact of the cleanups had made over the years. And we thanked the lovely volunteers for making a difference to Singapore! Photos from the cleanup are available on Flickr and Facebook. That was really some awesome work, volunteers! Thank you for protecting the environment! On the blazing hot afternoon of 22 February 2016, 38 students and staffs from the NUS Ridge View Residential College (RVRC) conducted a coastal cleanup at Tanah Merah Site 7, a non-recreational beach located adjacent to the Tanah Merah Ferry Terminal. They removed 29 trash bags of marine trash weighing 204kg. 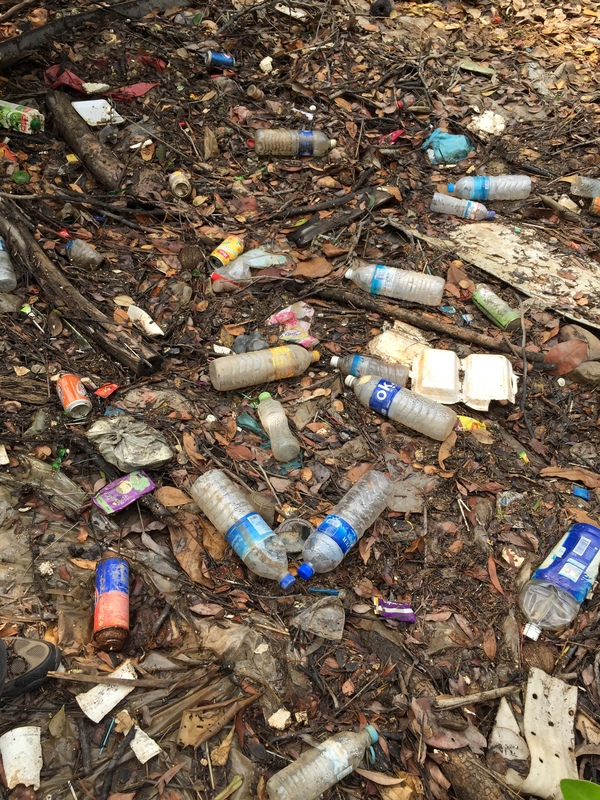 This cleanup is a feature of the college’s GEM1917 module “Understanding and Critiquing Sustainability”, but more importantly, it is a part of raising awareness of the marine debris problem and its harmful impacts on the environment. An astounding number of expanded polystyrene (styrofoam) pieces, plastic bottles, plastic pieces, glass bottles, cigarette lighters, slippers and toys were found at the beach. Several bulky items such as a rope and a television were also seen on the beach, some of which were embedded deeply in the sand. These trash require strategic removal with much effort and patience. It was a test of the participants’ teamwork spirit and I’m glad they made it! With a low tide of 0.9m at 4.00pm, participants were able to explore the intertidal shore and remove trash deposited by the tide. Marine life such as the carpet anemone was encountered by some. What a great reminder to us that the shore is teeming with life and that cleanups are crucial to keep the shore a habitable one for them. Keeping track of time, the participants began to weigh and transport the trash bags out after 90 minutes of cleanup. A total of 204kg in 29 trash bags were removed from the beach! At the end of the day, all of the participants left with a smiley face. Well done, RVRC! Thank you for protecting the marine environment and please continue to do so! More photos and a video of the cleanup are available for viewing. 15 June 2015 & 7 July 2015 – We headed down to Sungei Pandan Mangrove (SP1) in preparation for the Youth Day Mangrove Cleanup on 11 July 2015. 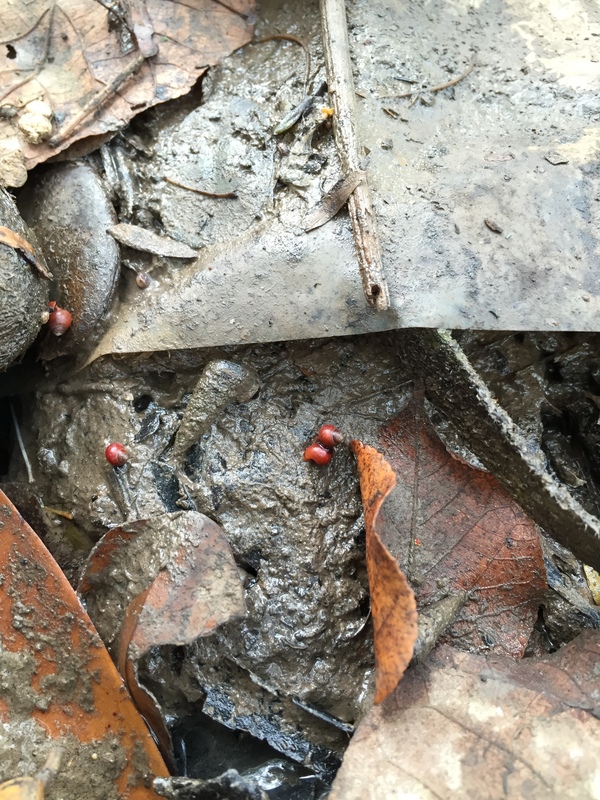 We had previously organised a cleanup at Sungei Pandan Mangrove for World Water Day on 21 March 2015, where some of our participants reported sightings of the smooth-coated otter (Lutrogale perspicillata) in the river! Despite great news of otters in the habitat, the sight of plastic bottles amongst the vegetation still gets extremely depressing. 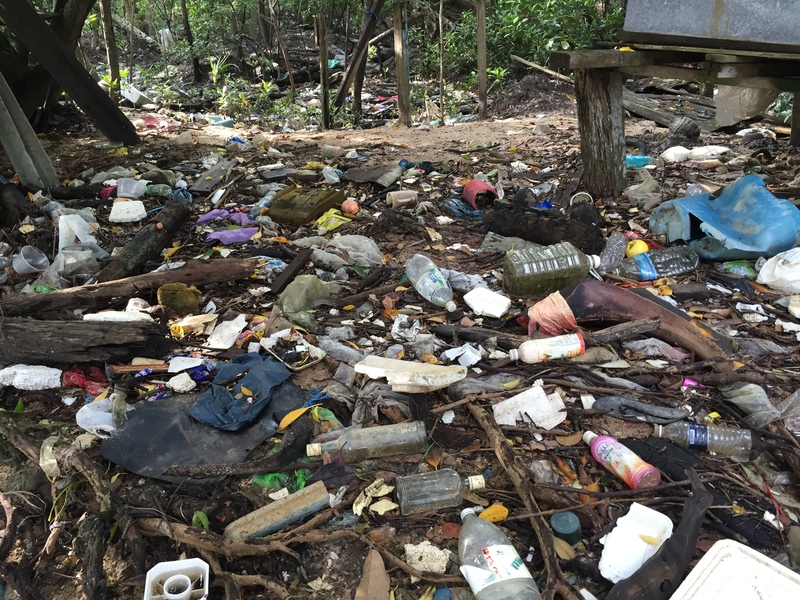 The patch of mangrove is small and unprotected, and it is rarely cleaned. 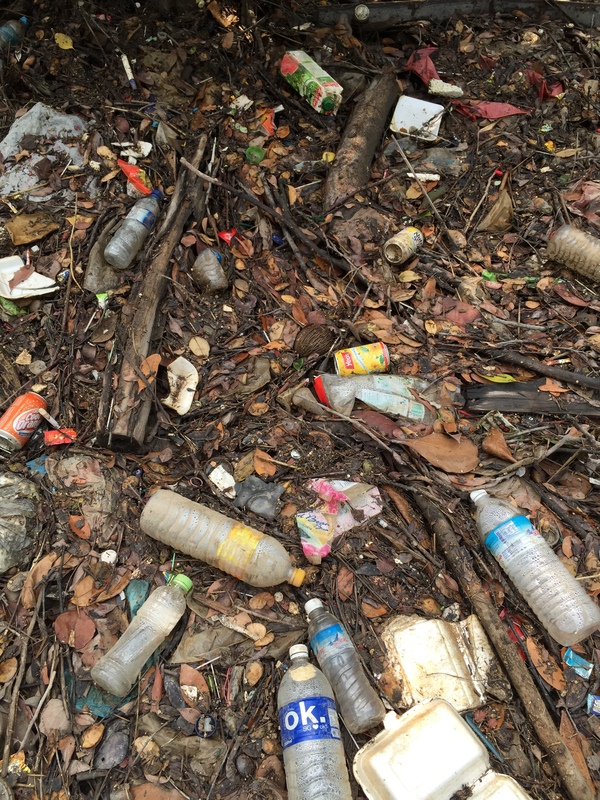 Trash therefore accumulates, making the ecosystem inhospitable for biodiversity to thrive. 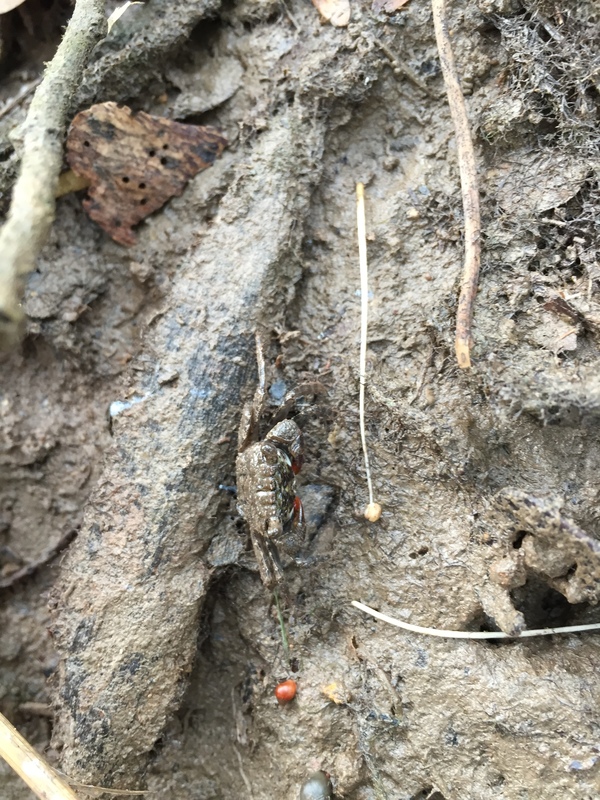 After examining the trash load and determining how much manpower and logistics would be needed on Saturday, we admired the Tree-climbing Crabs (Perisesarma sp. ), Rodong Snails (Telescopium telescopium) and Red Berry Snails (Assiminea sp.). Despite it’s located in an industrial area, Pandan Mangrove still has mangrove life! 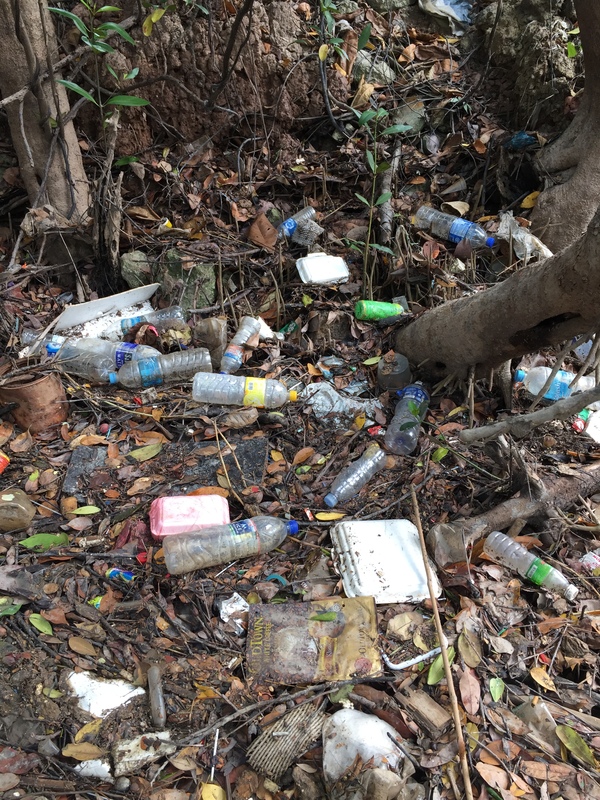 Our participants on Saturday will not only take away the message of marine trash and the impact it has on the natural environment, but also the value of our local mangrove habitats. Singapore isn’t just a concrete jungle, but our surviving ecosystems deserve recognition! Here’s to a successful Youth Day celebration!